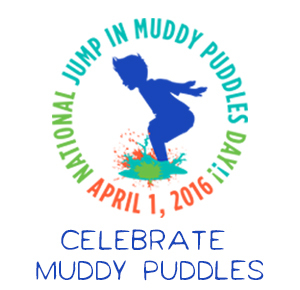 April 1st has been officially proclaimed “National Jump in Muddy Puddles Day” by the nonprofit and it kicks off a whole season of special events – including Peppa-inspired Welly Walks to benefit the charity. If you choose to participate or are inspired to host your own Welly Walk check out the Peppa Pig Welly Walk Kit and see everything you need. Mess Fests and Wellly Walks are good for everyone involved.